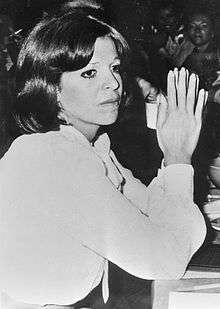 Christina Onassis (Greek: Χριστίνα Ωνάση; 11 December 1950 – 19 November 1988) was an American-born Greek/Argentine businesswoman, socialite, and heiress to the Onassis fortune. She was the only daughter of Aristotle Onassis and Athina Livanos. Christina Onassis, the only daughter of the Greek shipping magnate Aristotle Onassis and his first wife, Athina Livanos, was born in New York City at LeRoy Sanitarium. Her maternal grandfather was Stavros G. Livanos, founder of the Livanos shipping empire. Onassis had an older brother, Alexander. She and Alexander were raised and educated in France, Greece, and England. She attended the Headington School in Oxford and Queen's College, London from 1968 to 1969. Onassis' parents divorced in 1960, precipitated by her father's affair with opera singer Maria Callas. He later married former First Lady Jacqueline Kennedy, widow of President John F. Kennedy, in 1968. Christina and Alexander reportedly distrusted Kennedy and never warmed to her. Christina's mother, Athina, married Stavros Niarchos in 1971. Within a 29-month period, Onassis lost her entire immediate family. Her brother, Alexander, died in a plane crash in Athens in 1973. His death devastated the family. Her mother died of a suspected drug overdose in 1974, leaving Onassis her $77 million estate. Following Alexander's death, her father's health began to deteriorate, and he died in March 1975. After losing her father, Christina renounced her U.S. citizenship and donated the American portion of her holdings in her father's company to the American Hospital of Paris (Onassis held dual citizenship in Greece and Argentina throughout her life). Upon Alexander's death, Aristotle Onassis began grooming his daughter to take over the family business. She was sent to New York City to work in his office. After Aristotle's death, she inherited 55% of his fortune, then estimated worth $500 million. The remaining 45% funded a foundation established in Alexander's memory (Jacqueline Kennedy Onassis received $26 million of the estate). Christina was the focus of her father's attention until his death; he considered her his successor and trained her in the business operations of the Onassis business empire. She carried the mantle of the Onassis shipping empire, successfully running the business after her father's death. Onassis received considerable media attention for her lavish lifestyle, spending habits, and turbulent personal life. Despite her wealth, she was often unhappy with her frequent weight battles and inability to find lasting love. She went on frequent crash diets and would lose large amounts of weight, but gained it back when she became depressed. Diagnosed with clinical depression at the age of 30, she was prescribed barbiturates, amphetamines, and sleeping pills. Onassis became addicted and was reportedly hospitalized for overdosing on sleeping pills in the 1970s. Onassis had four marriages, each ending in divorce. 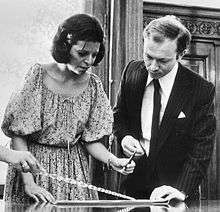 She wed her first husband, real estate developer Joseph Bolker, at age 20 in 1971. Bolker was a divorced father of four, 27 years her senior. Onassis's father reportedly disapproved and pressured her to divorce him. The marriage ended after nine months. Her second husband was Greek shipping and banking heir Alexander Andreadis, whom she married shortly after her father's death, in 1975. They divorced after 14 months. Onassis's third husband was Russian shipping agent Sergei Kauzov, whom she married in 1978. They divorced the following year. Her fourth and final marriage was to French businessman Thierry Roussel in 1984. Onassis and Roussel had a daughter, Athina (named after Onassis' mother), in 1985. They divorced after Onassis discovered that Roussel had fathered a child with his long-time mistress, Swedish model Marianne "Gaby" Landhage, during the marriage. On 19 November 1988, Onassis' body was found by her maid in the bathtub of a mansion in Buenos Aires, where she had been staying. An autopsy found no evidence of suicide, drug overdose or foul play, but found that Onassis had died of a heart attack caused by acute pulmonary edema. She was just 37 years old. A private, Greek Orthodox funeral was held for Onassis on 20 November at a chapel on the Onassis-owned island of Skorpios, whereafter she was buried in the Onassis family plot in the Island of Skorpios Cemetery, alongside her father and brother. Onassis willed her fortune, worth an estimated $250 million at the time of her death, to her only child, Athina. Raised in Switzerland by her father, Thierry Roussel, and his wife, Marianne "Gaby" Landhage, Athina gained control of half of the estate on her 18th birthday. Musician Patty Griffin dedicated the song "Christina" to Onassis. The Spanish composer Joaquín Sabina also dedicated a song to Onassis called "Pobre Cristina" (Poor Christina) on his 1990 album Mentiras Piadosas. 1 2 3 Green, Michelle (5 December 1988). "Fate's Captive: Dead at 37, Christina Onassis Leaves An Empire and Burdens She Could Never Escape to Her Daughter, Athina". People Magazine. 30 (23). Retrieved 20 April 2013. ↑ Wright, William (2000). All the Pain Money Can Buy: The Life of Christina Onassis. Simon and Schuster. p. 62. ISBN 0-743-21163-4. ↑ "Poor Little Rich Girl – Christina Onassis". Newsweek. Newsweek, Incorporated. 86: 349. 1975. 1 2 3 4 Saxon, Wolfgang (20 November 1988). "Christina Onassis, Shipping Magnate, Dies at 37". The New York Times. Retrieved 22 April 2013. ↑ Bender, Marlyn (9 June 1975). "Christina gives up U.S. citizenship". The Miami News. Retrieved 22 April 2013. ↑ Gage, Nicholas (May 2005). "The Last Onassis". vanityfair.com. p. 2. 1 2 "Christina Onassis Dies; Investigation Ordered". latimes.com. 20 November 1988. 1 2 Gage, Nicholas (May 2005). "The Last Onassis". vanityfair.com. p. 1. ↑ de Lama, George (21 November 1988). "Onassis Died Of Natural Causes, Autopsy Reportedly Indicates". Chicago Tribune. Retrieved 10 October 2014. ↑ Smith, James F. (21 November 1988). "'The Poor Little Rich Girl': Autopsy Held as Friends Mourn Christina Onassis". latimes. ↑ "Onassis Heiress Turns 18, Inherits Billions". abcnews.go.com. 29 January 2003. Ioannidis, Paul (2015). Destiny Prevails: My Life with Aristotle, Alexander, Christina Onassis and her daughter, Athina. New York: Significance Press-paperback or kindle edition. ISBN 978-0990757474. Wikimedia Commons has media related to Christina Onassis.